Home/News/Blog/Meet the passion behind Gracious Bakers and stand a chance to WIN! Gracious Bakers started as a result of facing their own personal dietary health challenges. 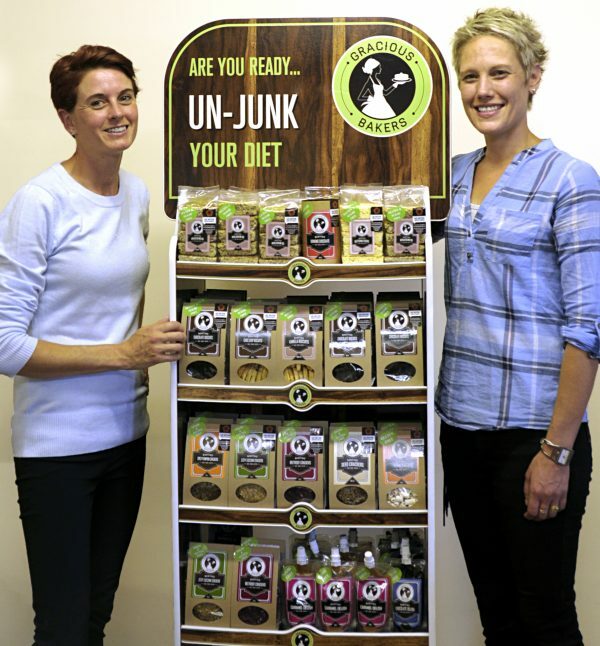 Liz and Fran, the owners, both found incredible benefits in following a low carb lifestyle, which has driven the passion behind each product. They recognized a huge gap in quality gluten & sugar free products. Whilst still working full time in the hospitality industry at the time, they found that there were daily requests for banting offerings. At the time, there were many gluten free products or sugar free products on the market, but none that covered both categories. They decided to test their home baked products on the market, by starting to supply a few local Spars. The products performed extremely well and soon after, a customer posted their penne pasta on social media. The result was an influx of requests relating to their products. One such request came from an employee of Checkers, which resulted in 10 of their product lines being stocked by the retailer. Fran had to leave her current occupation at the time to solely focus on the business and Liz joined her soon after. They have dedicated themselves to creating Quality Banting, Gluten & Sugar Free products. They strive to cater for Banters, as well as individuals with Gluten Intolerance, Diabetes, Celiacs and those who are simply health conscious. They have a wide range of products ranging from rusks and biscuits to wraps. Their products are all handmade using only superior quality ingredients, to ensure a high quality final product. They also mill all their own nuts & seeds to ensure no valuable nutrients are lost and to use a 100% pure product. Their facility is a completely gluten & sugar free facility and this is one of their core principals. Gracious Bakers is a proud affiliate of Eat Better SA. Products have been tested by an accredited Sanas laboratory and vetted by our panel of experts to ensure that they support your low carbohydrate lifestyle. For each product purchased, a portion is contributed towards our Eat Better SA community initiatives.